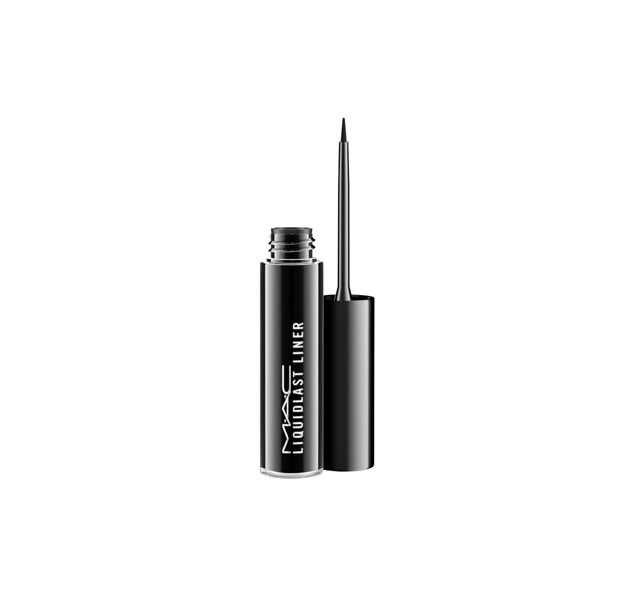 The knack to nailing a precise eyeliner is using the right tools. Everybody is different so finding the right product and developing a method is different for each individual. My favourite eyeliner to use on myself is the MAC Liquid Last. Once it dries it does not budge which is amazing for me because I suffer with watery eyes, especially in the winter when I’m outside my eyes just stream! Admittedly it’s not for everybody. The brush is quite small and it’s hard to correct something if you make a mistake which is why I would never use this on a client, there’s far too much risk involved! One smudge and I could potentially ruin an entire eye look, so I stick to Inglot Gel liner and a MAC #210 brush for everyone but myself. I start off by drawing a small line across the top of my eyelid along my lash line and I stop just before I get to the corner of my eye. I then make a small mark where I want the wing to go and I do this with my eye open. I then draw a line from the end of my lash line to the mark I’ve just made to create the bottom of my winged liner. I then close my eye and draw a straight line from the tip of the wing to the end of the line I drew on my lower lash line to connect it. I then fill in the wing and make any adjustments needed such as thickening the liner or making the wing longer. Nobody is perfect and I often have to do a little clean up to get a crisp line. There’s a couple ways you can do this; get a good angle brush (MAC #266 or #263) and dab it in some oil free makeup remover. Wipe any excess off on to a tissue. You can then use your damp angled brush as a makeup eraser. Start at your lower lash line and sweep up along the wing to drag the line out into a crisp point. Fix any black smudges with a little concealer and your done!